Amazing the press are still supporting 'Deaf' reservations regarding CI's. There aren't any, another crucial point via the links to their stories clearly show that no choices have been impinged upon and playing the deafie is simple, you just disconnect the CI if that is your want, and sign if that is what you choose to communicate with. As regards to 'risks' every operation from an ingrowing toenail to setting a broken leg contains risk. By far the real value of CI's (We know they aren't the same as ears they are aids to hearing not replacement ears), is the support it offers to enable learning, why anyone would object to that defies rationale'. Or, that 'Deaf' are quite prepared to wear glasses or have eye implants, have appendix out, or take supplements to prevent disabilities in children (Which could be seen as denigrating disability too by our ridiculous hashtag/snowflake culture), yer pays yer money and choices/perspective are not part of the equation. It's as if some Deaf areas (Mainly those who don't have CI's anyway), feel the dependency nature of sign which underpins their culture, would cease if the CI enables less sign reliance, so the opposition appears mainly some desperate 'rear-guard' action to preserve the status quo of others. Of course, CI implantees sign too. So, it is the issue they aren't part of ye olde deaf school setups that irk anti-Ci people? It's time CI media coverage stopped playing the D/d cards and endorsing what increasingly appears to be some sort of 'Deaf' paranoia aimed at opposing choice. There is very clear evidence of very real benefits to the deaf child, and, deaf adults too. They come first, culture doesn't enter into it. My niece lost her hearing. 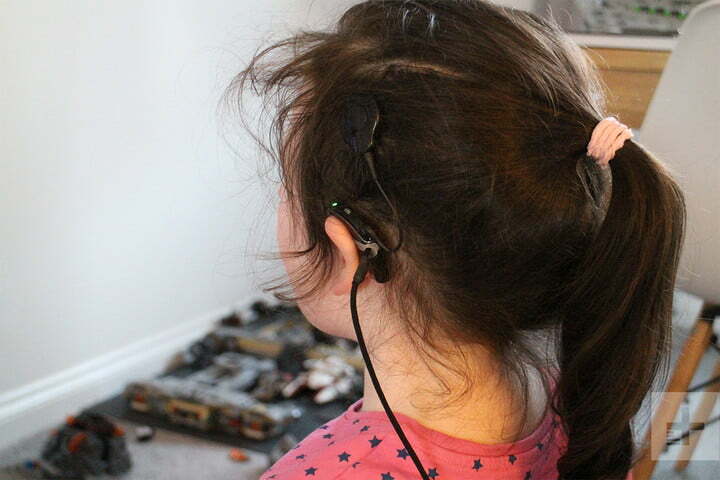 This is a story about how technology brought it back girl with cochlear implants Simon Hill/Digital Trends It wasn’t until my brother told me they were concerned that I noticed my niece couldn’t hear like other kids. When children are very young it can be extremely difficult to determine their level of hearing. “Around her first birthday, we realized she wasn’t responding normally to sound,” Steven Hill told Digital Trends. “She didn’t react to a lot of sounds, and when she was sleeping it was very difficult to wake her.” Because Maddie still had some hearing, it was a long struggle for her parents to get her diagnosed properly. Poor results in hearing tests are sometimes attributed to fidgety kids, and she was smart enough to compensate for her lack of hearing. They tried hearing aids for a while, but they just amplify sound. If you can’t fundamentally hear certain frequency ranges, then a hearing aid can’t do anything for you. They taught her some sign language to make it easier for her to communicate. But once it became clear the hearing aids, even at the highest volume, weren’t helping, Maddie was finally diagnosed with profound hearing loss. “If we didn’t implant when we did, it would have been removing a choice from her.” The next step suggested was a cochlear implant, and because of the delay in her diagnosis, the doctors wanted to proceed with it as quickly as possible. If the brain’s auditory pathways aren’t stimulated in the first three to four years, then the capacity to hear and learn to speak normally can be dramatically reduced, because the brain focuses on other functions.